1 bloodline | This Blog Rules | Why go elsewhere? TV shows marathons and nights in spent binging on TV series have increased in popularity during the last years. If you need some inspiration for choosing your next TV show, take a look at this top 5 less popular Netflix shows. Ever since releasing “House of Cards” and “Orange is the new black” Netflix has kept the TV shows coming. But somehow, nothing managed to gain as much popularity as those two. Despite of their low ratings, the following series are totally worth watching. So go ahead and cancel your plans for the next weekend, I have a hunch you’ll need all your time for watching TV. This thriller drama TV series was created by Todd A. Kessler, Glenn Kessler, and Daniel Zelman. 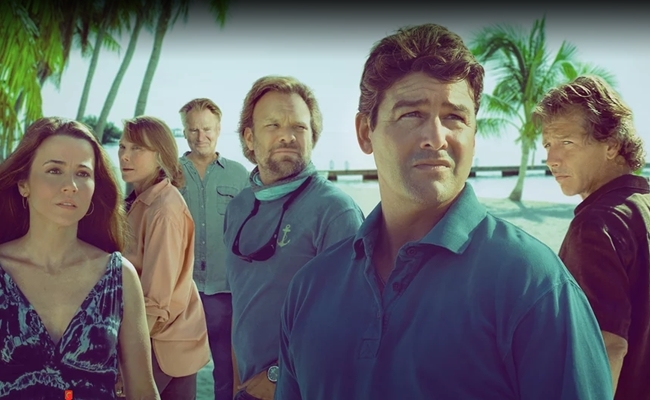 The show revolves around the Rayburn family, who hold and manage a hotel in Florida Keys. The intrigue is caused by the eldest son, Danny, who makes some noise on his parents’ 45th anniversary. It appears the Rayburns’ past is not spotless clean, and there are some skeletons in their closet, which involves the death of a Rayburn member. Danny makes waves by threatening his kin to destroy and bring down their entire legacy. This is a documentary that focuses on food as an artistic expression. The first season consists of 6 episodes and each of these follows a single famous chef from different corners of the world such as Massimo Bottura (Italy), Francis Mallmann (Argentina), Niki Nakayama (USA) and Ben Shewry (Australia). The amazing photography will surely whet your appetite for a luxurious dinner at an expensive restaurant, so get ready to go out and indulge yourself after each episode of this mouth watering TV show. Even if you’re not a chef, or if you don’t particularly like spending time in the kitchen, you’ll love this TV series for its authenticity and savory taste. Incredibly funny, “Unbreakable Kimmy Schmidt” was created by Tina Fey and Robert Carlock and it stars Ellie Kemper. The show follows 29-year-old Kimmy Schmidt as she adjust to her new life in New York City. This follows her rescue from a doomsday cult where she had been held against her will for 15 years alongside other 3 women. She starts her adventures by working as a nanny, morally supported by her friendly landlady, and her roommate, who is an actor. With an outstanding actors’ crew, “Grace and Frankie” is a comedy series that was created by Marta Kauffman and Howard J. Morris. Season 2 of the series was just renewed after the success of the 13 episodes from season 1. The plot of this show is unique, slightly absurd, but in the end amazing. 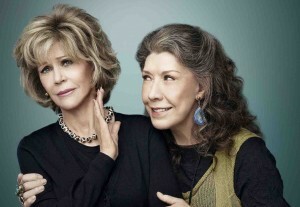 “Grace and Frankie” revolves around two elderly couples who are seemingly ordinary. That is until the two husbands confess their love for each other and announce the wives they are leaving them. The two women are left to live together and care after each other, despite the fact that they have never really enjoyed each other’s company. This is a sci-fi drama show produced by the “Matrix” team. It tells the story of eight strangers who are seemingly unconnected since they come from totally different backgrounds. 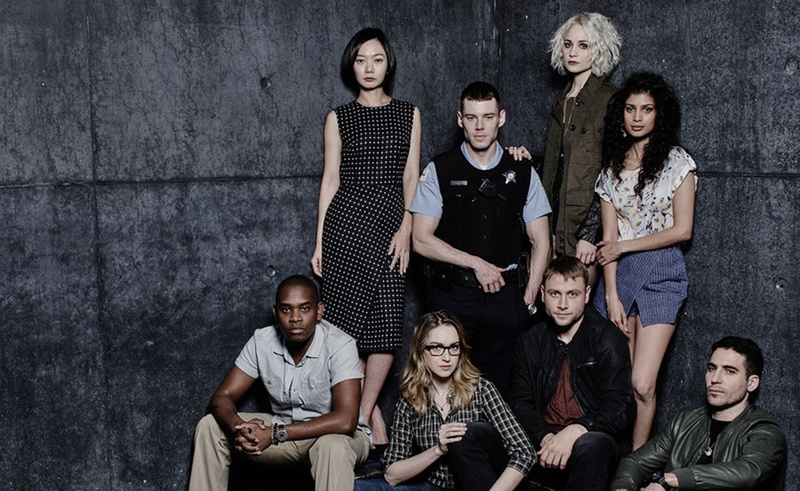 Following a common vision experienced by all the characters, they are reborn as Sensates, finding themselves mentally connected, with the newly found ability to communicate and use each other’s knowledge. There is, of course, a bad guy: Whispers tries to hunt down the 8 people in an attempt to capture them. And there is also a good guy who comes to their aid: mysterious Jonas makes everything in his power to protect the 8 strangers from Whispers.